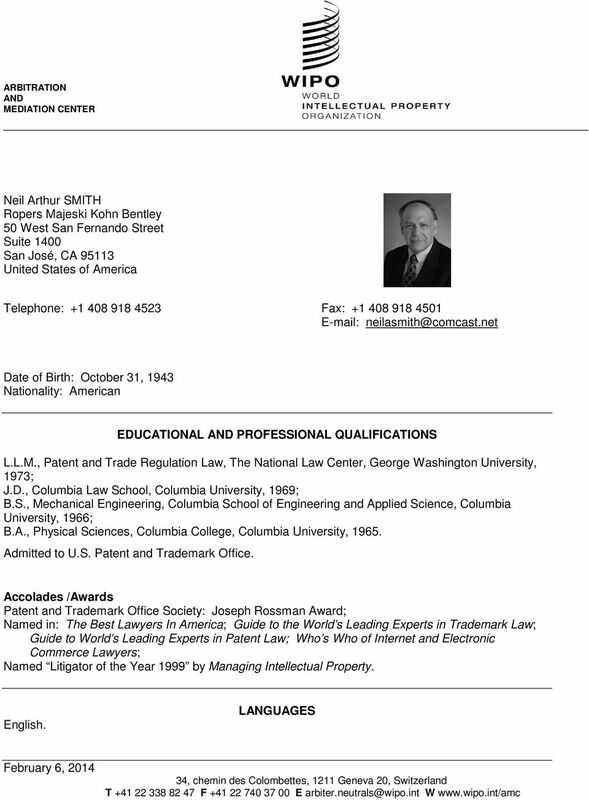 Download "Telephone: +1 408 918 4523 Fax: +1 408 918 4501 E-mail: neilasmith@comcast.net EDUCATIONAL AND PROFESSIONAL QUALIFICATIONS"
3 The Collateral Estoppel Effect of a Prior Judgment of Patent Invalidity: Blonder-Tongue Revisited, 55 Journal of the Patent Office Society 85, 363, 436, 1973; Obtaining Early and Effective Relief Against Trademark Counterfeiting, 10 COMM/ENT, Hastings College of the Law, No. 4, p. 1049, Summer 1988; Discovery in Trademark Cases in the Courts and Trademark Trial and Appeal Board, Intellectual Property Counseling and Litigation, Chapter 71, The Trademark Law of the United States, Trademarks, Creation Protection and Valuation, Chapter 10; Ninth Circuit Report, (Quarterly Column) New Matter, Publication of the State Bar of California Intellectual Property Section; Contributing Author to book, Risky Business: Protect Your Business from Being Stalked; Conned or Blackmailed on the Web by Daniel S. Janal, John Wiley & Sons, Inc., Speaker on patent, trademark and unfair competition subjects to various bar associations and patent law associations, including the San Francisco Patent Law Association, the San Francisco Barristers Club, the Engineering and Product Liability section of the San Francisco Bar Association, the California, Colorado, Washington State, Ohio, Oregon and Utah State Bar; Intellectual Property Associations in Los Angeles and San Diego; American Patent Institute, Patent Bar Review course; Practicing Law Institute (PLI), American Bar Association Litigation Section Computer Law Committee, United States Trademark Association, American Intellectual Property Law Association, International Trademark Association, Computer Law Association, Stanford Law School, Hastings Law School, Santa Clara Law School; Testified on the Draft Report of the United States Information Infrastructure Task Force, and the World Intellectual Property Organization; U.S. Reporter for ALAI on the subject of technical devices for the protection of copyrights in digital works; Speaker on Digital Technology and The Internet conferences, American Conference Institute. EXPERIENCE IN COURT LITIGATION Very experienced in court litigation. Tried important intellectual property cases in U.S. District Courts, argued cases before U.S. Courts of Appeal, including the Ninth Circuit and the Federal Circuit Courts of Appeals. Named U.S. 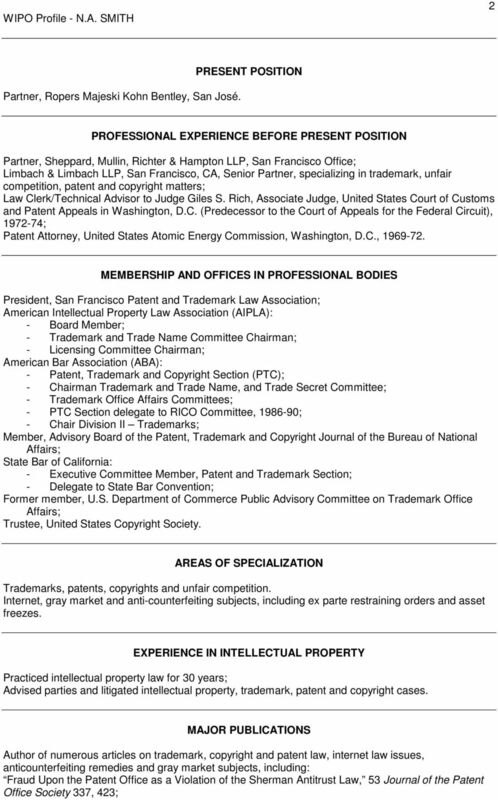 Trademark Litigator of the Year, 1999, by Managing Intellectual Property magazine. 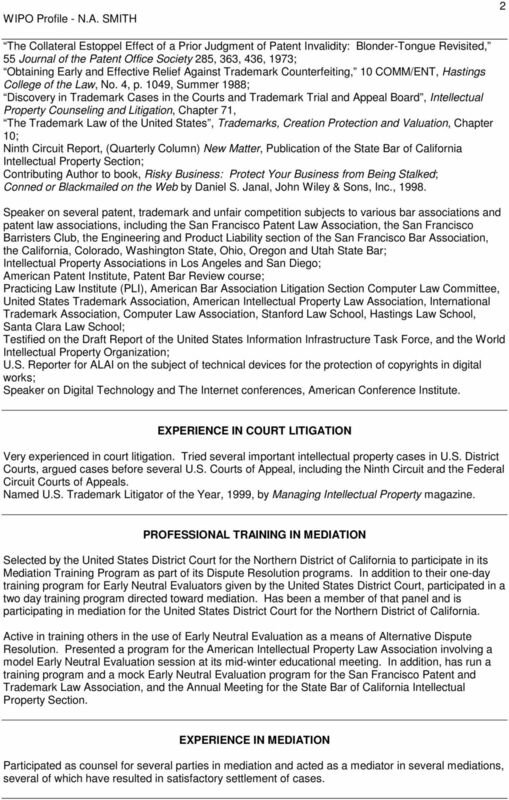 PROFESSIONAL TRAINING IN MEDIATION Selected by the United States District Court for the Northern District of California to participate in its Mediation Training Program as part of its Dispute Resolution programs. In addition to their one-day training program for Early Neutral Evaluators given by the United States District Court, participated in a two day training program directed toward mediation. Has been a member of that panel and is participating in mediation for the United States District Court for the Northern District of California. Active in training others in the use of Early Neutral Evaluation as a means of Alternative Dispute Resolution. Presented a program for the American Intellectual Property Law Association involving a model Early Neutral Evaluation session at its mid-winter educational meeting. In addition, has run a training program and a mock Early Neutral Evaluation program for the San Francisco Patent and Trademark Law Association, and the Annual Meeting for the State Bar of California Intellectual Property Section. 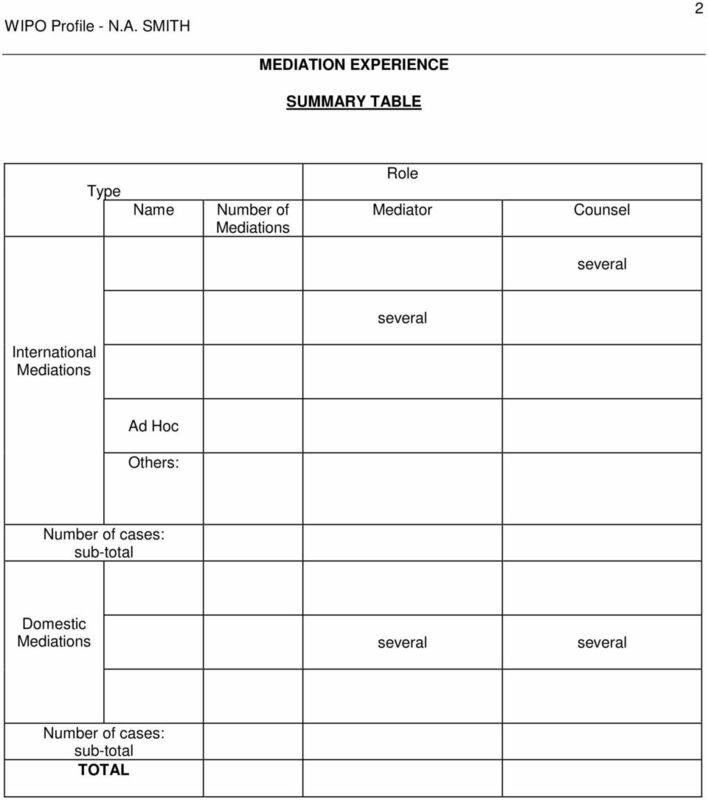 EXPERIENCE IN MEDIATION Participated as counsel for parties in mediation and acted as a mediator in mediations, of which have resulted in satisfactory settlement of cases. 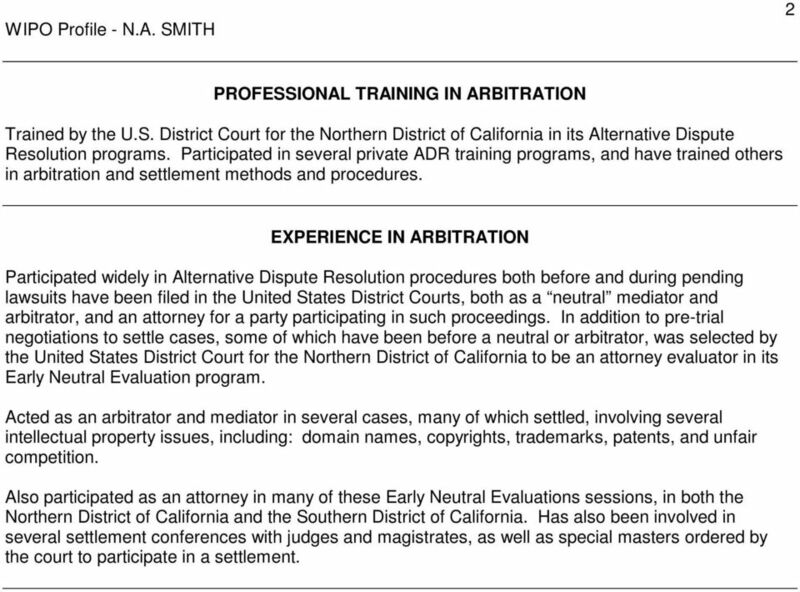 4 PROFESSIONAL TRAINING IN ARBITRATION Trained by the U.S. District Court for the Northern District of California in its Alternative Dispute Resolution programs. Participated in private ADR training programs, and have trained others in arbitration and settlement methods and procedures. 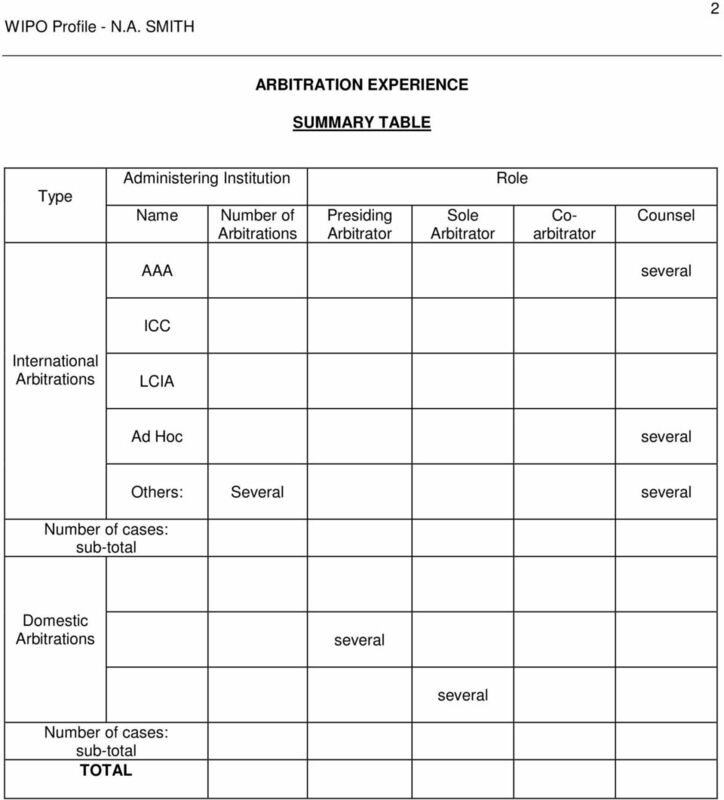 EXPERIENCE IN ARBITRATION Participated widely in Alternative Dispute Resolution procedures both before and during pending lawsuits have been filed in the United States District Courts, both as a neutral mediator and arbitrator, and an attorney for a party participating in such proceedings. In addition to pre-trial negotiations to settle cases, some of which have been before a neutral or arbitrator, was selected by the United States District Court for the Northern District of California to be an attorney evaluator in its Early Neutral Evaluation program. Acted as an arbitrator and mediator in cases, many of which settled, involving intellectual property issues, including: domain names, copyrights, trademarks, patents, and unfair competition. Also participated as an attorney in many of these Early Neutral Evaluations sessions, in both the Northern District of California and the Southern District of California. Has also been involved in settlement conferences with judges and magistrates, as well as special masters ordered by the court to participate in a settlement. WIPO LIST OF NEUTRALS BIOGRAPHICAL DATA. Telephone: +41 22 318 3000 Fax: +41 22 318 3010 E-mail: pierre.kobel@hirsch-law.ch www.hirsch-law. WIPO LIST OF NEUTRALS BIOGRAPHICAL DATA. Telephone: +61 2 9368 0274 Facsimile: +61 2 9368 0643 E-mail: expert@strategic-resolution. WIPO LIST OF NEUTRALS. Telephone: +86 10 82425692 Fax No. +86 10 5880 2948 Mobile: +86 136 113 76518 E-mail: hongxueipr@gmail.com hong_xue@hotmail. Joe Matthews. Joseph M. Matthews, P.A. MARSHALL G. MINTZ 1801 Century Park East, Suite 2400 Los Angeles, California 90067 Telephone: (310) 556-9692 Email: mgmintz@earthlink. What is Online Dispute Resolution? Why use Online Dispute Resolution? What are the different types of Online Dispute Resolution? Los Angeles County Bar Association - Dispute Resolution Services - Mediation Training. [40 hours] Certificate received, 2001. LOS ANGELES OFFICE 15165 VENTURA BOULEVARD, SUITE 400 SHERMAN OAKS, CALIFORNIA 91403 TEL (818) 788-8300 FAX (818) 788-8104 WWW.PSWPLAW. Amy L. Landers Drexel University Thomas R. Kline School of Law 3320 Market St, Philadelphia, PA 19104 215 571-4795/ amylanders@drexel. Margaret M. Hand Law Offices of Margaret M. Hand, PC 1939 Harrison Street, Suite 200 Oakland, California 94612 margaret@handlaw. BARRY ROSS. 539 N. Glenoaks Blvd., Suite 305 Office: 818-840-0950 Burbank, California 91502-3213 Fax: 818-840-0990 www.rossmediation. STUART M. WIDMAN Miller Shakman & Beem LLP 180 North LaSalle Street, Suite 3600 Chicago, Illinois 60601 312-263-3700 swidman@millershakman. WIPO LIST OF NEUTRALS BIOGRAPHICAL DATA. Telephone: +33 1 70 71 22 00 Fax: +33 1 70 71 22 22 E-mail: cferal-schuhl@feral-avocats. ROBERT M. WARD Attorney at Law 344 Maple Avenue Burlington, North Carolina 27215 (336) 228-1433 (office) (336) 228-6610 (fax) rward42@triad.rr.